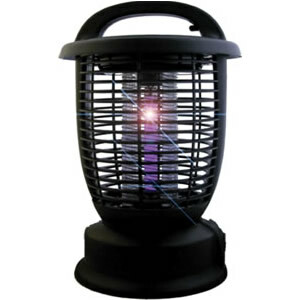 MS0501 – MOSQUITO SHIELD™ RECHARGEABLE BUG ZAPPER – KUUS Inc.
Our Bug Zappers offer two advantages: it is safe for indoor and outdoor use, as it does not use an Octenol lure,(chemical free) allowing it to be used in enclosed spaces, and by windows and doors without any adverse affects to those around. The Bug Zapper has a rechargeable battery, which can last up to 8 hours on a full charge and is good for 200 cycles. The Zapper eliminates pesky flying insects and, It has a catch tray for easy removal of “zapped” bugs. It can be hung almost anywhere with the COLLAPSIBLE HANGER with weather resistant casing and is made of durable plastic.